Floral plant pot perfect for a gardening gift or to add a splash of colour to the interior. 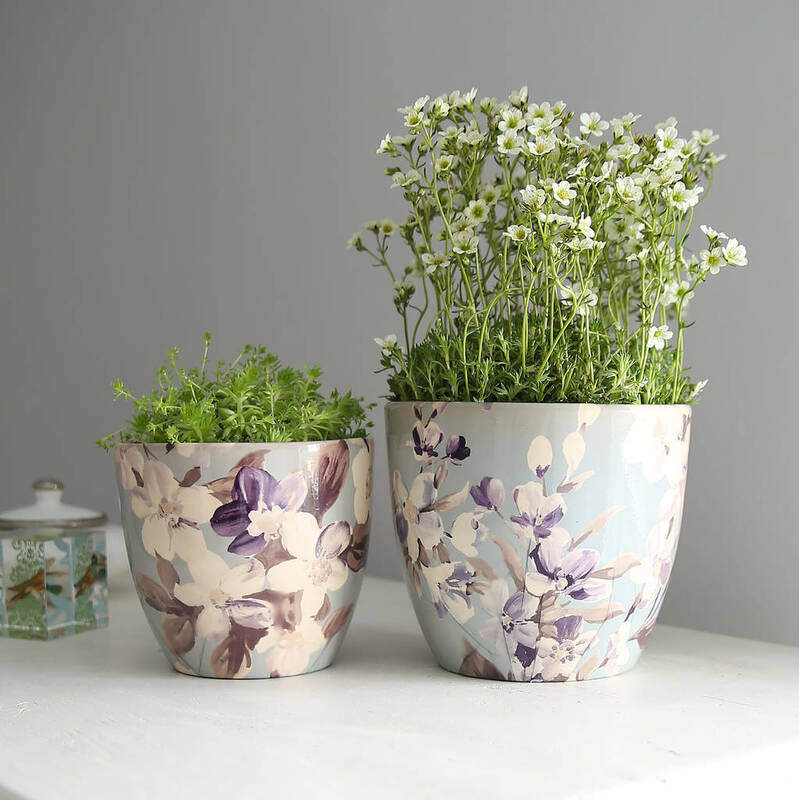 Create wonderful displays of colourful blooms in these attractive glazed plant pots with a muted blue and white botanical pattern. Versatile to be positioned indoors on windowsills for herbs and succulents as there is no drainage hole or placed outdoors to prettily accessorise the garden table. Sold individually boxed as a single pot. Plant not included. Not frost resistant place indoors for the harsh winter months.